RRB Secunderabad ALP Technician Admit Card 2018-19 Syllabus Exam Dates for Stage 2 CBT. RRB Secunderabad ALP Admit Card 2019 Download. 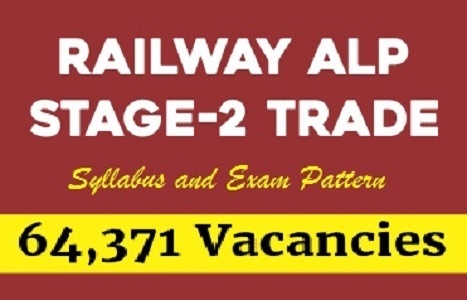 RRB Secunderabad ALP 1st stage Qualified Candidates, ALP 2nd stage exam dates & syllabus. Getting a job in railways is never too easy. The railway department always tries it’s best to provide related jobs to the people of all sectors and departments. Many try to opt for railways as it is a most secured job and is a challenging one. The railway board conducts various exams to the people to get qualified for the job. It releases different notifications to all the people waiting to opt job in railways. Recently a railway notification regarding ALP has been released and such the first phase of the exam has also been conducted in the months of August and September and now on 20 December the railway board has released the results for all those who have attended the exam and you can get to know about whether you have cleared the exam or not by visiting the official website www.rrbsecunderabad.nic.in. Here we are talking about the RRB ALP and Technician 2018 jobs notified by the railway board. If you have checked your first stage examination result and are waiting for the second phase then you are at the exact page to know more about the 2nd stage exam dates and when the admit cards available for download. 2nd stage exam syllabus. The candidates can check their eligibility for the second phase examination by logging in into their account by using their date of birth and registration number by clicking the link that is provided in the official website. After you login you will be able to see the question paper that you have attempted and the correct answer for the given question. You will be sent to login and look in to your paper and correct answers till January 19th 2019. The examinations conducted by railway board need to have a good preparation to clear the exam. The railway conducts exams at different phases to give a person a perfect job. For the present one you have to clear the phase one, phase two. Once you clear the first phase then it’s time for you to know and prepare about the phase two examination and need to prepare for the examination. The second phase examination is going to be conducted in the month of January from 21 to 23 Jan 2019. The results for the second phase will be declared later on in the month of February and you can get to know the results from the railway board official website www.rrbsecunderabad.nic.in. In this second phase CBT shall have two parts i.e, Part A and Part B as details below. You can easily clear your second phase examination if you can concentrate in the above topics. In this part, qualifying in nature and shall have questions from the trade syllabus prescribed by Director General of Employment & Training (DGET). The trade syllabus can be obtained from the DGET website. For more details see the official website in below. The RRB has not yet announced the date that it will release the admit cards. Usually the board makes the admit cards available to the candidates before one week or 10 days before the exam. The RRB releases different admit cards for different phases of exam and you can download the admit card from the official website by clicking the link given in the official website. RRC Secunderabad Syllabus for Group-D Posts, Railway Recruitment Cell Secunderabad Group D Paper Pattern. 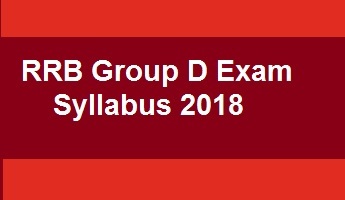 RRC Group D Exam Syllabus. The Railway Recruitment Board has conducted the examination in every year for Group D Posts. But, in the last year, the RRC Secunderabad was not released the Group D notification. There are lot of candidates are waiting for this RRC Group D Notification. Railway Recruitment Cell Secunderabad has provided Group-D exam syllabus in every year. RRC Secunderabad has recently changed Group-D exam syllabus and pattern. The mode of written test consists of Objective Type (i.e, 100 Questions within 90 minutes). The syllabus of written test consists of General Intelligence and Reasoning, General Arithmetic, General Awareness, General English. Coding -Decoding, Sequence & Series, Alphabet test, Classification, Blood Relations, Direction Test, Venn Diagrams, Group Reasoning, Number, Ranking & Time Sequence Test, Logical Arrangement of Words. Simplifications, Numbers, Problems on Numbers, L.C.M and H.C.F, Simplifications L.C.M, H.C.F & Number System, Average, Ration and Proportion, Time and Work, Boats & Streams, Age Relations, Percentages, Partnership, Simple Interest, Compound Interest, Mensuration. Indian Railways, Sports, General Science, History & Culture, Geography, General Polity, Basic Economy.